Systemic change requires a combination of innovative ideas and dedicated action. The UBC chapter of Engineers Without Borders (EWB) is a group of engineering students who strive to meet this challenge. In the past few years, they have worked to launch a variety of long-term engagement programs, raising awareness on education, sustainability and global advocacy. One recent project is their new mentorship programs that were launched last year. These are four-month programs where EWB helps middle-school students implement an initiative in their school or community. 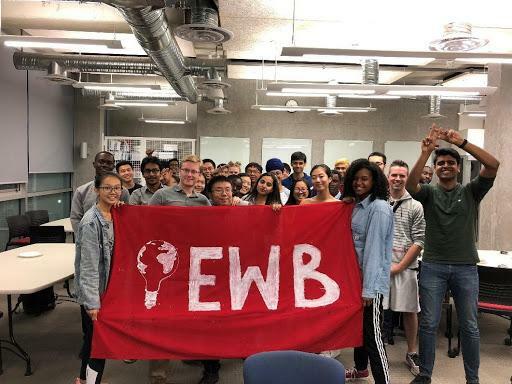 “We pride ourselves in piloting and fostering long term systemic change … [because] we help students develop ideas … and guide them through the process from ideation to execution,” UBC EWB President Ilakkiyan Jeyakumar said. In 2017, students prepared proposals for a community garden, a new skateboard rack and a pilot for an annual clothing drive. In 2018, EWB will be partnering with Eric Hamber Secondary School to continue delivering these mentorship programs. As part of their food sustainability venture, UBC EWB has implemented the “Scrapless” App. In partnership with Bluechip Café, The Grocery Checkout and Porch, the app aims to reduce food waste on UBC campus. The app is currently in development and will soon be available in the App Store. The UBC chapter has also contributed to numerous social enterprise ventures. One of these ventures is the African Academy for Internships (AAI), which provides internship and mentorship opportunities to youth in Africa. This is an eight-week program that provides students with technical training and internship opportunities at host companies including Jumia and Stanbic Bank. Another social enterprise the UBC chapter has supported is LishaBora, which promotes sustainable dairy farming in Kenya. LishaBora is dedicated towards assisting smallholder dairy farmers with business development and credit solutions. EWB has been active in advocacy, working with Liberal MP Joyce Murray to apply political pressure on international topics. In 2017, the UBC chapter campaigned to provide increase funding for Canadian foreign aid and investments abroad. The club was pleased to see that the federal government proposed a $2 billion increase in overseas development assistance in their 2018/19 budget. “Canada is lagging behind every other G7 country in terms of official development assistance, and this $2 billion increase has helped push us further ahead ... These incremental changes are what [EWB] strives to achieve,” Ilakkiyan said. This year, the UBC chapter will be focusing on the Hello 2030 campaign, a nationwide campaign advocating better representation of the United Nations Sustainable Development Goals (UNSDG). They will be delivering presentations on UBC campus to promote UNSDG and their policies on equality, sustainability and prosperity. “With the federal elections coming, this is the moment [for EWB] to apply pressure [on international topics],” said Ilakkiyan. Everyone has a role to play in inciting change and the UBC chapter is determined to use their voice and lead the way to build a better future.